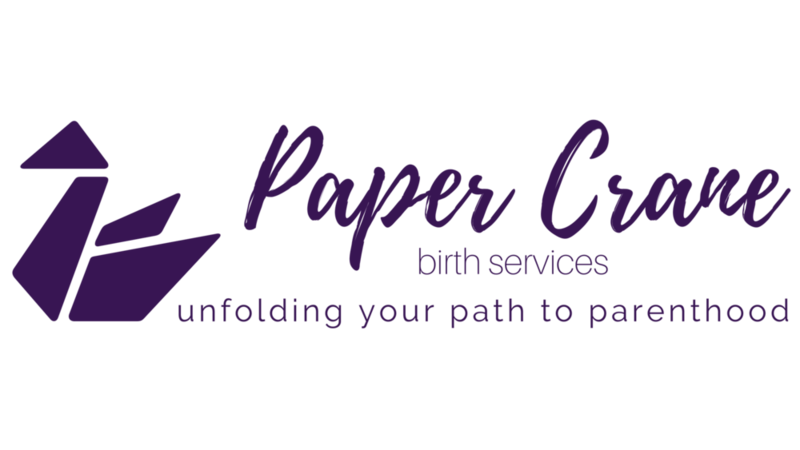 I don’t think I’ve ever talked in-depth about why I chose the name “Paper Crane Birth Services” for my business. I mention it a little on the welcome page of this site, but since I am unveiling my new logo and tagline on social media this week I thought I’d give the whole story! Warning: this post will give you insight into just how big of a nerd I am! However, I am there for my clients in some pretty vulnerable moments, too, so I figured fair is fair! It all started when I was about eleven years old and unabashedly obsessed with an Australian band called Savage Garden (“Truly, Madly, Deeply,” anyone?). Do you remember those videos of all the teenagers screaming their heads off during Beatles concerts back when they first came to America? Yeah, that was totally me at the 1998 Illinois State Fair when I saw them live for the first time. (Internally, though, because I was way too self-conscious at the time to make noise and risk drawing attention to myself.) Over the years I have caught a LOT of mostly well-meaning flak from friends and family for loving their music as much as I did. I come from a long line of people who poke fun at each other as a way of showing affection! But for me, it was a guilt-less guilty pleasure. Their songs really meant a lot to me during those tumultuous teen years, when you’re desperately looking for something to connect with. People from high school who find me on Facebook after not speaking to me in years still know me as “that girl who loved Savage Garden,” and that is alright by me! Since then, the paper crane has been a really important personal symbol for me, too. I even got it as a tattoo! When it came time for me to pick a business name, no matter how hard I tried, I could not think of anything that represented me or my philosophy of birth better. With all this in mind, my new business tagline is “unfolding your path to parenthood.” My main mission as a childbirth educator and doula is to help my clients have the kind of pregnancy, birth, and postpartum experiences that they can look back on and feel happy. Or accomplished. Or strong. Or at peace. Or empowered or supported or triumphant. Every fold in the crane is unique. Not all of them are perfect, but they’re all important. Every path to parenthood is different, and they all come with different highs and lows. And I feel so lucky and honored that I get to help families navigate through it. In light of World Breastfeeding Week, I thought I'd try something new and get a little personal and share what my breastfeeding experience was like. I know it's possible that I might catch some heat for this - whatever. My main hope is that someone who feels completely inundated with positive breast/chestfeeding stories, who might not have had a positive experience, will read this and realize they're not alone.